I just don’t understand the hullabaloo and noise surrounding the visit of Uganda’s despot Yoweri Museveni to Kenya. Museveni landed in Mombasa on Wednesday, dressed awkwardly in a coat and his signature hat despite the hot coastal climate. 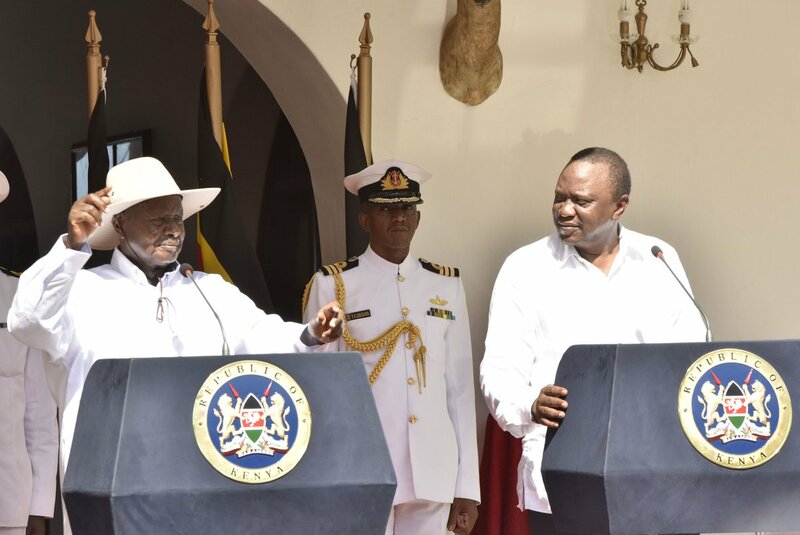 After that he went to State House Mombasa, where he cornered Uhuru Kenyatta to sign a deal that would see Uganda tripple the amount of sugar it exports to Kenya to 90,000 metric tonnes. And to make things worse, we got news that Uhuru had offered the despot land in Naivasha to construct a dry port. Really Bwana Kenyatta? This is a man who forcefully took over Migingo Island and is harassing Kenyan fishermen day and night? So we are appreciating him for maiming Kenyans? Museveni is a despot, who has refused to relinquish power for more than 33 years, he is on record using his military to beat Bobi Wine. He shouldn’t be anywhere near a civilized nation. I still don’t understand why he has extended his stay in Kenya yet it had been communicated that he was on a 2-day visit? The dictator has forced Kenyatta University to postpone their Friday exams because he wants to give a lecture on Regional Integration. 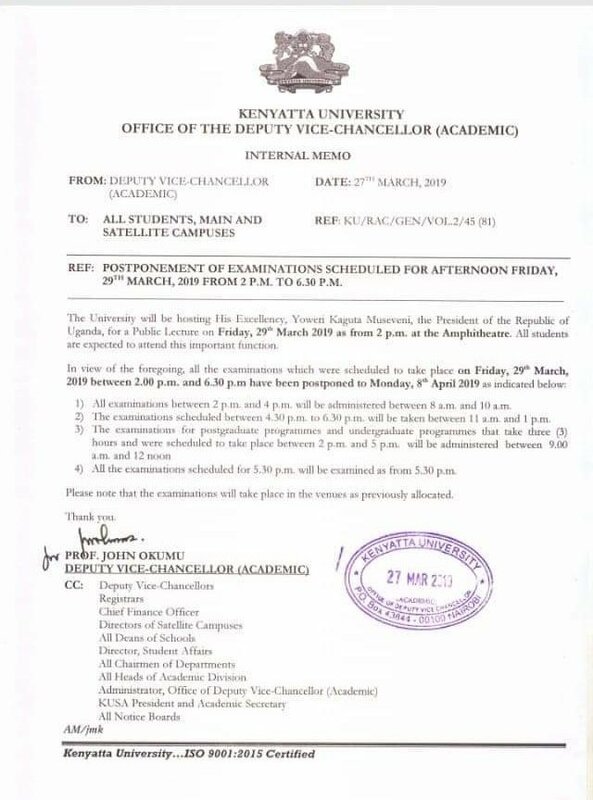 The post How Dictator President Museveni forces Kenyatta University to Postpone Exams appeared first on Kenya Today.